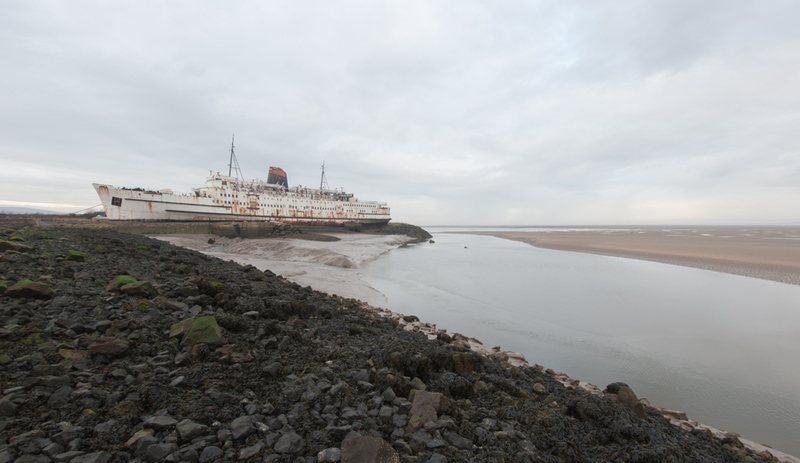 When I visited the Duke of Lancaster a few years back, I took the opportunity to take a lot of photographs, from as many different angles as I could think, on a variety of different lenses. At the time, I only actually processed about 10 or 12 of them, but after a 3 years break I took a sift through my Lightroom catalogue to re-assess the images. This one showed the most potential for monochrome due to the vareity of textures, but required a slight crop at the bottom to improve the composition – I prefer the way the coastline intersects with the corner of the frame. The original (albeit cropped) image, with minor adjustments. Desaturated version, the starting point for all monochrome work. I was fortunate that on my visit, the tide was low, so it exposed the sandbank on the right hand side of the frame, thus providing an element of balance to the image. 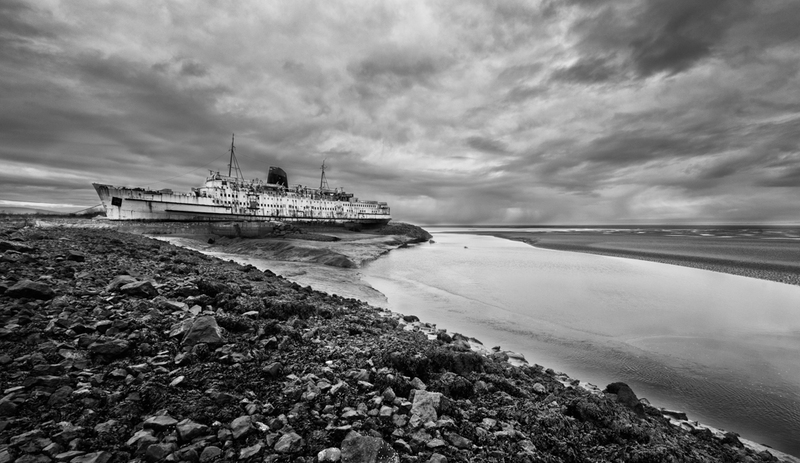 But the inclusion of the estuary provides a little more context to the ship to other photographs I took on the day, hence my title ‘High and Dry’. You’ve made me realise that going back and re-working my images is a valid activity; I always felt slightly guilty up till now. This particular image is stunning, I like it very much and of course, the information was all there, it just needed to be carefully and selectively brought out. Thanks Iain, glad you like it! Re-visiting images is definitely a valid activity, it’s said that copies of Ansel Adams prints from the same negative done over several years were often different as his style and technique matured. I’m revisiting my images because I’ve not got any new material to practice on!